The Western Illinois University Horn Studio is made up of a diverse group of undergraduate and graduate students majoring in Music Performance, Music Education, Music Therapy, Music Business, and more! Under the direction of Dr. Jena Gardner each student takes individual lessons, participates in a weekly seminar class, and performs in the WIU large ensembles. School of music concert dates can be found here . In addition to lessons and ensembles, the horn studio travels to Chicago or St. Louis each semester to hear a major symphony orchestra concert live. WIU also hosts a Horn Festival in the spring at which time, students have the opportunity to work with world-renowned guest artists. 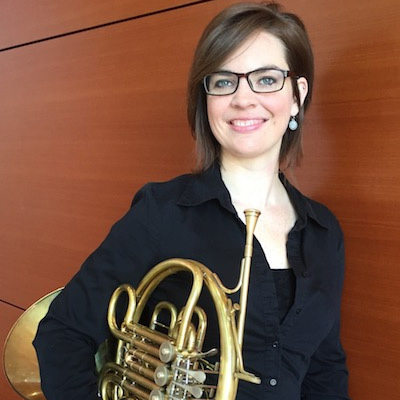 Click here to learn about the 2019 Horn Festival on April 7. If you are interested in knowing more about the WIU horn studio and scholarship opportunities, contact Dr. Gardner JE-Gardner2@wiu.edu.